The Aviation Industry Corporation of China (AVIC) has lately been the centre of controversy because of a myriad of allegations ranging from corruption, illegal land acquisition to flouting Zambia’s labour laws. For all intent and purpose, AVIC – a Chinese state-owned multinational enterprise is on face value top-notch, as it appears to have the machinery, technical expertise as well as financial muscle to execute the numerous infrastructure development projects that are being laid to them at bay. AVIC is an ultra-large enterprise and an investment institution managed through 10 business units, namely; defence, transport aircraft, aviation engine, helicopters, avionics, general aviation aircraft, aviation research and development, flight test, trade and logistics and asset management. Authorized and managed by the Central People’s Government of China, the company boasts of over 200 subsidiaries strewn across several countries and it has nearly 27 listed companies with close to half-a-million employees world-wide. Its main base on the continent is in Nairobi, Kenya where AVIC International Holding Corporation has invested over US$200 million in setting up its Africa Headquarters selecting that country on the premise that it has a “conducive business environment”. By 2009, AVIC had reportedly taken out loans worth US$35 billion mainly from Chinese state-owned banks such as China Construction Bank, Industrial and Commercial Bank of China, Bank of China and Agricultural Bank of China, but had no immediate need for the money and now had to find projects. Developing countries like Zambia became an easy prey and because of their precarious situation they were targeted by the Chinese state-owned-enterprises who were offering to build sprawling housing apartments, malls, roads and bridges, schools, hospitals and other projects of a social nature like stadia. Witt these rather loop-sided bilateral agreements, Chinese multinational companies like AVIC suddenly started to become special interest groups particularly in third-world countries and begun to exert obvious impact on the formulation of public policy in poor countries like Zambia. 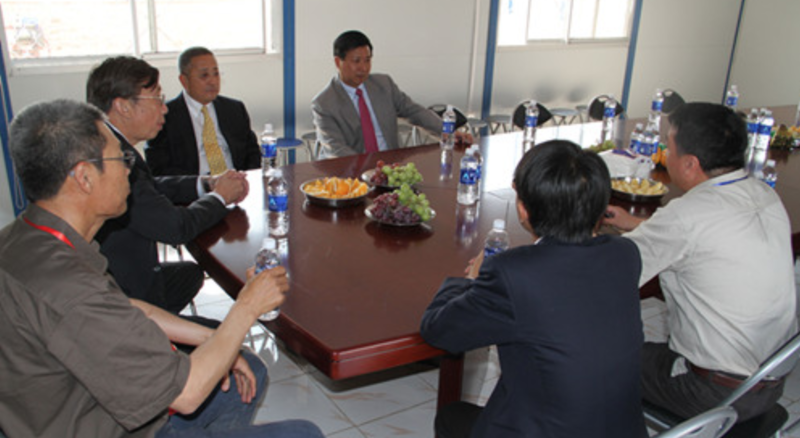 With a new government in place in 2011, AVIC moved swiftly, took advantage of the pronouncements being made by the PF in relation to their infrastructure development agenda. Where they had vested interests, the Chinese offered outlandish deals to the new government and quickly turned their erstwhile foe late president Michael Sata into an all-weather friend instantly causing the then Head of State to change his tone. To date, the PF government under the leadership of President Edgar Lungu feels threatened by the Chinese state-owned-enterprises like AVIC International probably because they too feel that they owe the conglomerate favours, which Zambians are unaware and not privy to. AVIC has interests in manufacturing and financing, with business units covering defence, transport aircraft, helicopters, avionics and systems, general aviation, research and development, assets management and automobiles among others. Further, AVIC engages in professional and supply chain services for asphalt, and mechanical and electrical products; and offers property management services, logistics, investment, leasing, e-business as well as trade, industry, commerce, finance, and machinery procurement among others. The company’s business scopes also span over public tendering and bidding, real estate, hotel and real estate management, civil construction for airports, roads and bridges, railway projects, mobile hospitals, vocational education services and it operates commercial complexes and office buildings. But then it is the latter part of AVIC’s business interests that are causing a lot of discontent among many Zambians who have time and again accused the Chinese multinational of using underhand methods to get contracts for major projects which the PF government keeps awarding them. In the area of public tendering and bidding for instance, government has single-sourced AVIC and has awarded the company land which, for more than five decades, belonged to the Natural Resources Development College (NRDC) on the understanding they will build “an ultra-modern city within a city”. In relation to real estate and real estate management, it is reported that AVIC has again been given huge tracts of land in Chongwe’s Silverest and along great road, before Quarantine areas and they were actually responsible for the construction of the K79 million housing project for the Immigration Department and police in Lusaka’s Chelston area. But in obscure circumstances, AVIC has been awarded the contract to construct the multi-million dollar Copperbelt International Airport in Ndola which will include three aerodromes, a hotel, cargo terminal and business complex, with a 3500 meter runway as well as housing units for workers. Interestingly though, there are conflicting figures which have been availed to the public by the PF’s senior government officials. While others are saying that the construction of the Copperbelt International Airport will require US$397 million some bureaucrats are putting the figure at US$522 million and this is breeding suspicion. Additionally, the PF government has given the contract to construct the US$1.2 million Lusaka-Ndola dual carriage way to the Chinese state-owned conglomerate – a measure widely viewed as a way of promoting AVIC’s industrial consolidation in its business interests particularly in the roads and bridges sectors. To reaffirm Chinese company’s position in Zambia’s construction industry, the PF government has again awarded the building of 40 toll plazas to AVIC all of which should be operational by the end of 2018. If each toll plaza costs an average of US$2.5 million to build, AVIC will rake-in in excess of US$100 million by the end of this year. Still in the road sector, Phase One of the US$348 million L-400 project which involved the construction of 408 kilometres of roads, among them Chilimbulu and Burma roads in Kabwata Constituency in Lusaka has been completed and was done by AVIC. Again the Road Development Agency (RDA) has started implementing Phase Two of the rehabilitation and upgrading of 160 kilometres of township roads in Lusaka at a cost of K241 million under the L-400 road project using AVIC. Additionally, AVIC International was the firm that was responsible for the construction of the US$286.9 million Mongu-Kalabo road built in the Baroste flood plains and it has since handed over the road to government to the delight of PF officials who thought that they would use it to swing votes in their favour in the 2016 polls. To nurture AVIC’s interest further, the PF government has awarded the contract to build the country’s toll gates to the Chinese state-owned-enterprise and the project is ongoing and this, like many other major infrastructure development projects, have given AVIC a natural monopoly in the construction sector. Through a mishmash of strategies and acquisition of cheap capital acquired from state-owned Chinese banks, accompanied by very lucrative real estate deals it is reportedly offering to some senior officials in the PF government, AVIC is able to get its way undeterred. While all this is happening, Zambia’s prime land, minerals and other natural resources are slowly being sold or quietly being bequeathed to the Chinese conglomerates, their representatives and other well-connected individuals as the country’s citizens watch in awe. Evidently, the PF government is over-ambitious with its infrastructure development programmes, which they have embarked on using contractor financing. This model of development planning and implementation is not sustainable in any way and, for this, future generations will certainly pay at huge cost for debt they did not incur. A quick glance at the 2018 national budget, shows that government has allocated K8, 660, 314, 680 to roads infrastructure, K940, 500, 000 for the works at the country’s international airports while school infrastructure is expected to account for K740, 060,456. But with AVIC on top of things and an incorrigible regime in the name of the PF in place most of this year’s budget allocation is headed for China through the Chinese government’s proxies like AVIC International. Why is AVIC all the time single sourced and almost always the construction company of choice? This is a topic for another edition. For now Zambians should wake up from slumber and smell the coffee. *Daimone Siulapwa is the founder and Editor-In-Chief of the Voice Newspaper in Zambia.